Calling any babes with a story or advice to share! We recently had our first Babe Revolution chat in our awesome Facebook group (Self Love Revolutionaries- if you aren't a member, come play with us!) and it was amazing! An e-series by women, for women. We host a live video chat in our private babes only Facebook group of over 8 thousand ladies, centered all around self love and/or other like topics. Babes who have a story to share that fits our purpose. I realize that may be a little vague, but I don't want to put a hard definition- so many babes have amazing stories to tell and advice to share. This is a large community of over 8,400 women who want to hear your story. This is a wonderful way to get your name out there to our ladies. 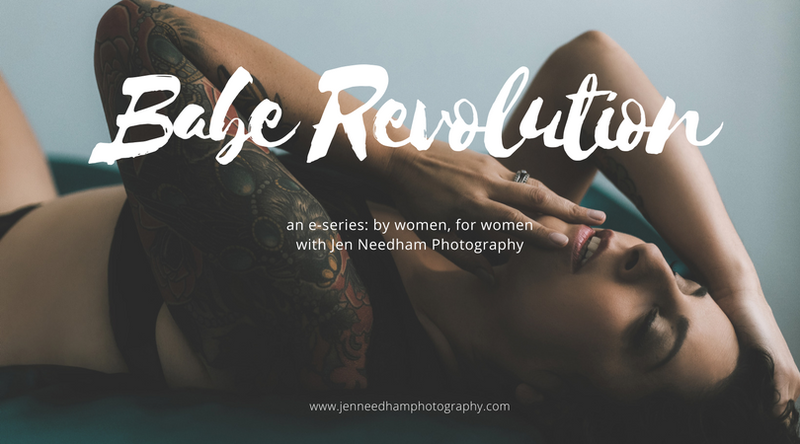 If you'd like to chat about this opportunity, please email jen at jen@jenneedhamphotography with a little bit of info on what you'd like to talk to our community about. We will be in touch if we're a good fit!